The Amazing Race contestants all traveled to Germany in the latest episode of the competition. Since this was a non-eliminating leg no-one was sent home, but if there was a couple to go home it would have most likely been Beth and Mona. The two came in at fifth place after a confusing and intense trek to Dresden. This entry was posted in Uncategorized and tagged amazing race betting odds, amazing race season 22, the amazing race on April 22, 2013 by Bryan. This entry was posted in Uncategorized and tagged brande roderick, celebrity apprentice betting odds, celebrity apprentice season 6, gary busey on April 22, 2013 by Bryan. 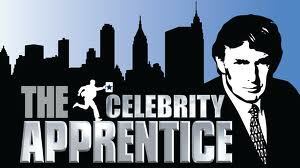 This week’s difficult challenge for the two teams of Celebrity Apprentice included a silent film. With boardroom directors, Ivanka Trump and Donald Trump, Jr., the group’s had to try their best to promote the popular Australian Gold products by shooting a 45-60 second clip to promote a product that eases the look of sun damage. This entry was posted in Uncategorized and tagged celebrity apprentice betting odds, celebrity apprentice season 6, stephen baldwin on April 15, 2013 by Bryan. This entry was posted in Uncategorized and tagged celebrity apprentice 6, celebrity apprentice betting odds, dennis rodman on April 8, 2013 by Bryan. 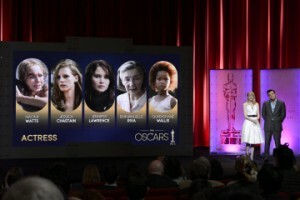 This year’s category for best actress at the 2013 Oscars should prove to be an interesting one with the unique age group between nominees, as pointed out by the L.A. Times. This entry was posted in Uncategorized and tagged 2013 oscars, academy awards, best actress, Emmanuelle Riva, jennifer lawrence, Jessica Chastain, Quvenzhane Wallace on January 28, 2013 by Bryan. The 2012 London Olympics are set to begin later this week, with the opening ceremony on Friday. 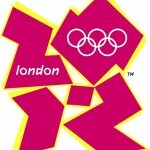 We expect quite a spectacle in London for the opening ceremony, with an estimated budget somewhere north of $42 million. And they will have a lot to compete with if we all remember the 2008 Beijing games and the unprecedented opening ceremony there. This entry was posted in Uncategorized and tagged 2012 olympics, betting odds, london, team usa, tv coverage on July 26, 2012 by Bryan. 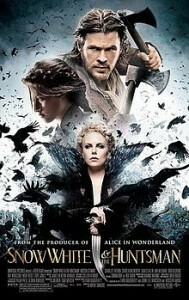 Snow White and the Huntsman will be jumping into the box office arena this weekend alongside heavyweights The Avengers and Men in Black 3. The sci-fi fantasy flick that seems to be geared towards the female population comes from director Rupert Sanders and stars Twilight’s Kristen Stewart, Chris Hemsworth and Charlize Theron. This entry was posted in Uncategorized and tagged snow white and the huntsman, snow white and the huntsman box office on June 1, 2012 by Bryan. Now that the excitement over The Avengers has died down some there’s a new fanboy flick on the horizon that some are saying will crush Marvel’s motion picture, while others are saying there’s just no way. 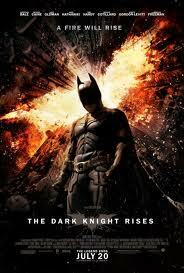 It’s Christopher Nolan’s The Dark Knight Rises. Scheduled to debut in the middle of the summer, the last installment of the Batman series will be released on July 20th with stars Christian Bale in the title role, Anne Hathaway, Joseph Gordon Levitt, Michael Caine, Tom Hardy and Gary Oldman. This entry was posted in Uncategorized and tagged dark knight rises, the dark knight rises, the dark knight rises box office odds on May 31, 2012 by Bryan.